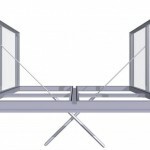 The Eura is a natural smoke and heat exhaust vent (NSHEV) louvre for roof or wall mounted natural Smoke & Fire Ventilation. Suitable for smoke & heat release and day-to-day environmental use. In addition to mill finish, smoke vents are also available is a polyester powder paint finish with a wide choice of colours and gloss levels. 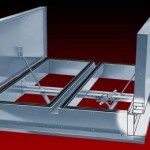 For smoke ventilation & heat release, and also for day-to-day environmental use if required. 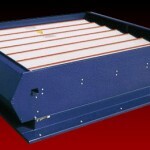 Smoke vent units are available in throat sizes ranging from 600mm wide x 940mm long, up to 2400mm wide x 2920mm long. Corrosion resistant 6063 T6 aluminium alloy with corrosion resistant bearings. 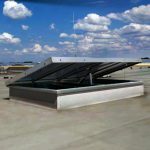 A wide range of options are offered using differing body & louvre blade constructions.